My answer is they’re easy of course! But really…they are. 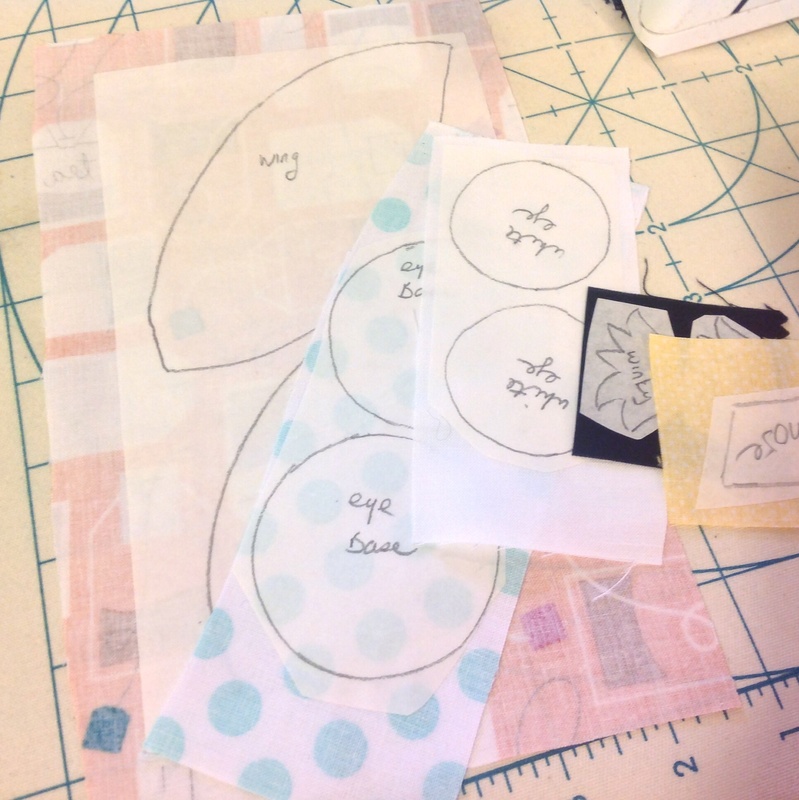 I’ve made a minor adjustment in how I choose to make mine that is different from the pattern instructions and I’d like to share with you how and why I’ve done that. Why? 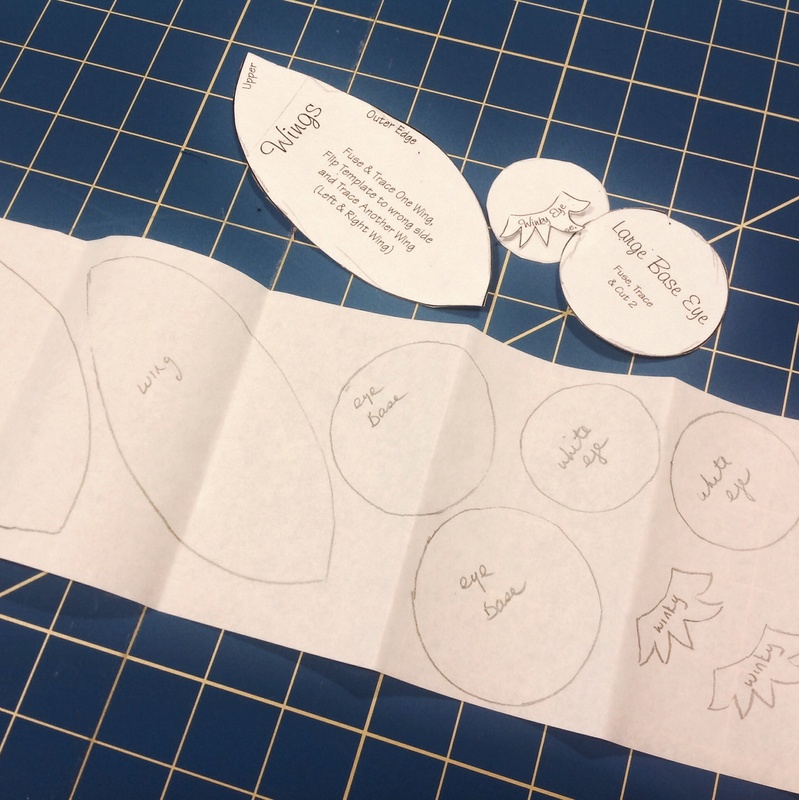 Because I try to find the easiest and most efficient ways to make shop samples while keeping my quality of work intact simply because I only have so much time to make so many things. And I’m really bad lazy at reading instructions so initially I had just assumed it was to be completed like this. How? 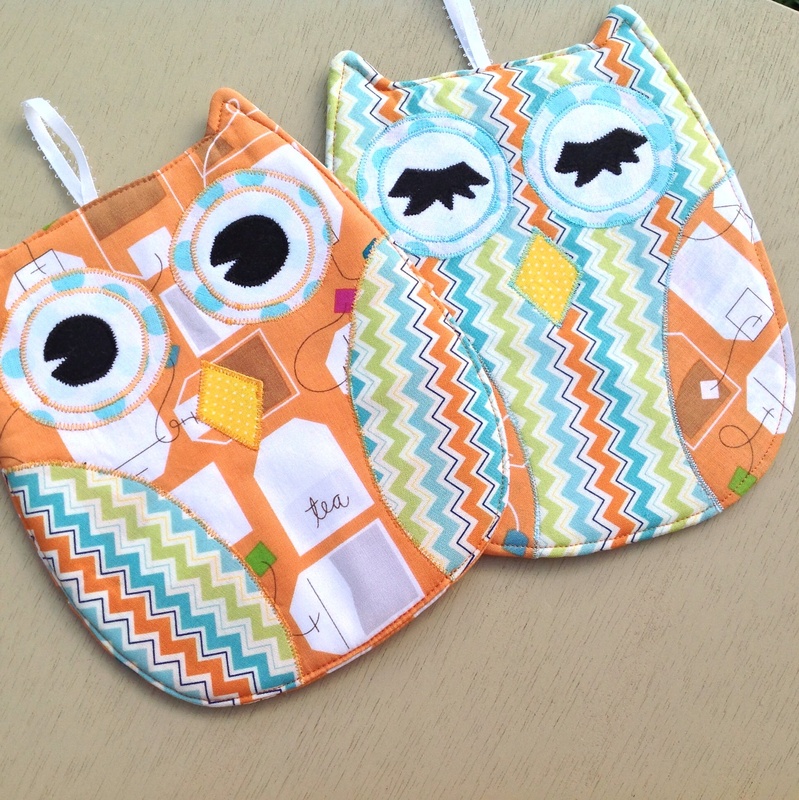 Instead of taking the time to turn the eyes and nose inside out, I appliqued them on with a small zig zag stitch. 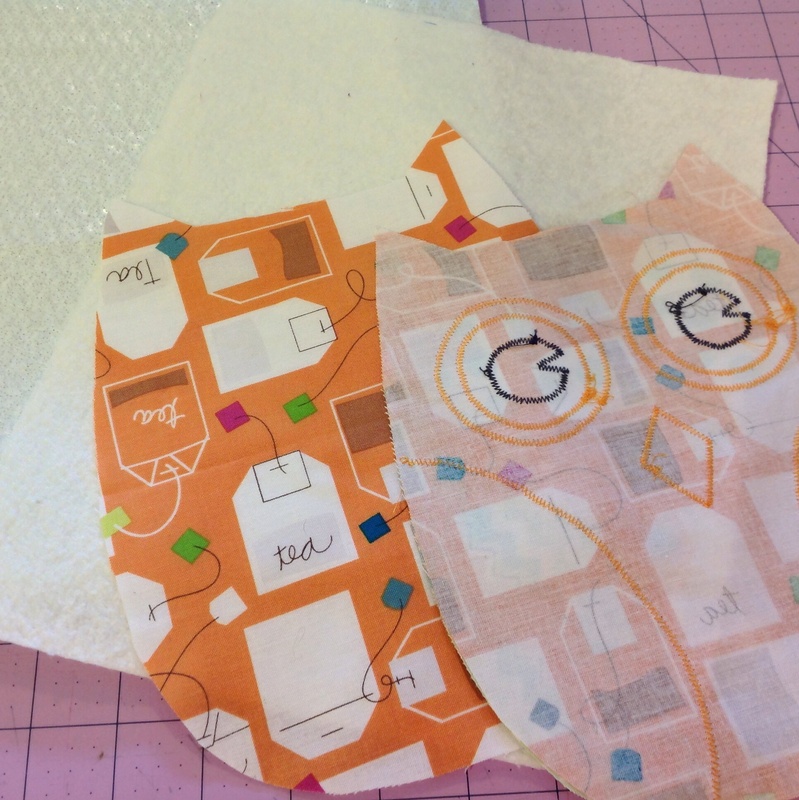 This made the sewing process…easy peasy…and I’ve also tested this technique by washing and drying these owl babies to ensure that my method doesn’t fall apart or fray away. They came out just like new. 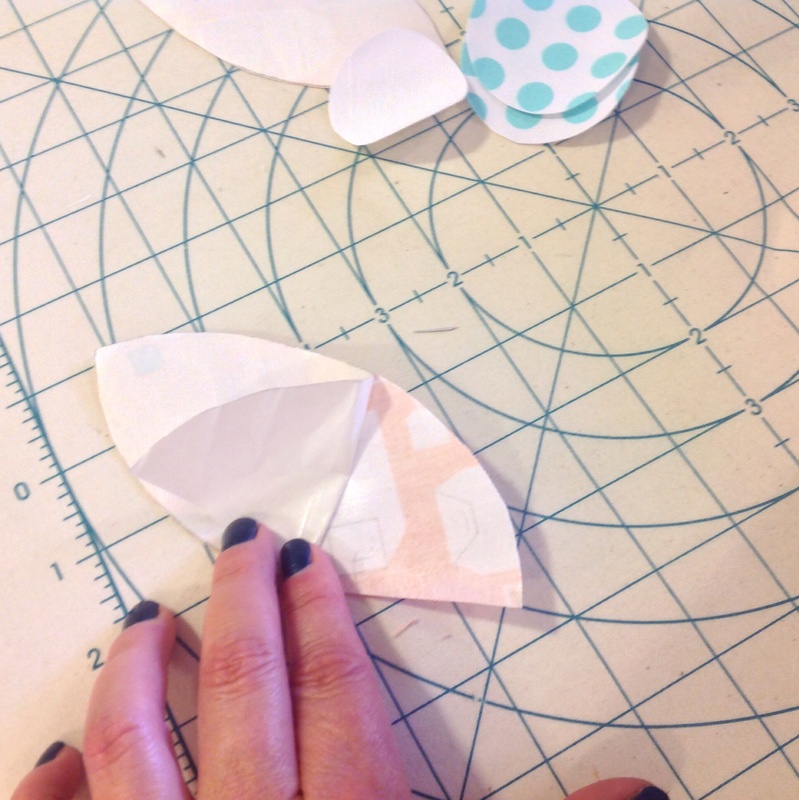 First things first…you’ll need the pattern. We have it back in stock in the Etsy shop. So don’t waste time time hootin’ around. Go get that pattern! I picked out my fabrics. This is the fun part and the part that takes me the most time! Trace all of the eyes, nose and wing parts to the paper side of a piece of Heat ‘n’ Bond. Fuse to the back of your fabrics according to the manufacturers directions. Cut out your shapes on the drawn line. 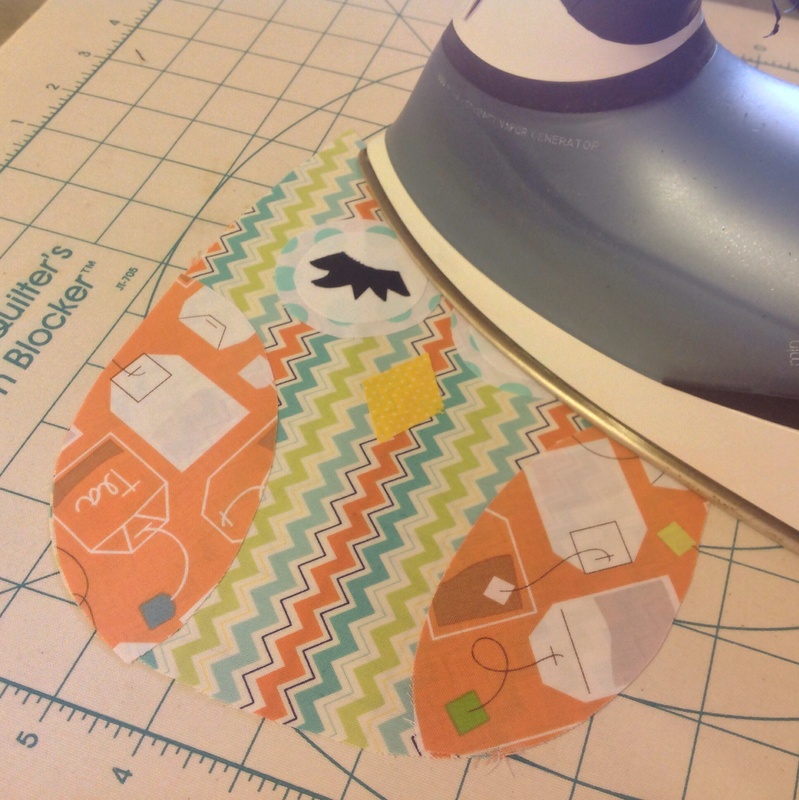 Peel away the paper backing making sure the fusible is still attached to the fabric. Sometimes it’s sneaky and likes to peel away too. You’ll notice your fabric is nice & shiny on the back now. 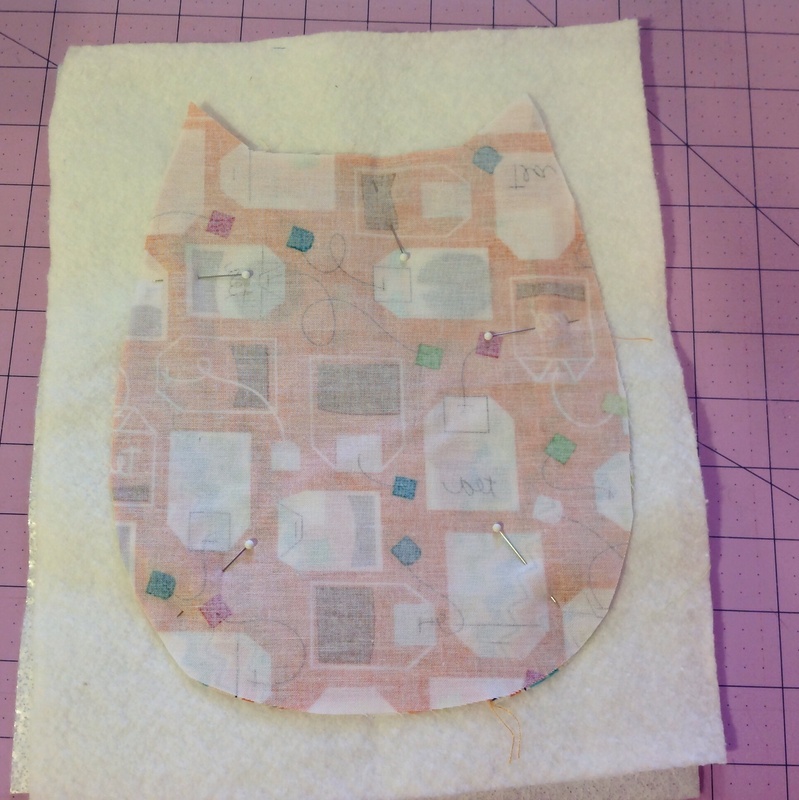 Position your pieces on the front body of the hot pad and fuse into place. Zig-Zig around all of your fused pieces with coordinating thread. 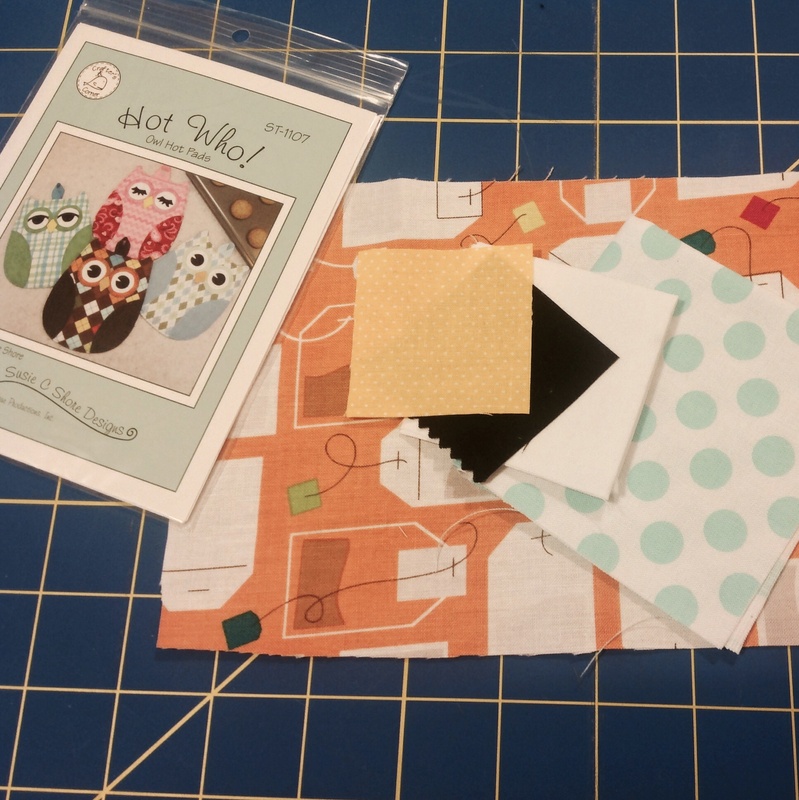 Layer your fabrics as shown… Insul-Bright, Warm & Natural Batting, back body of owl face up, and front body of owl face down. 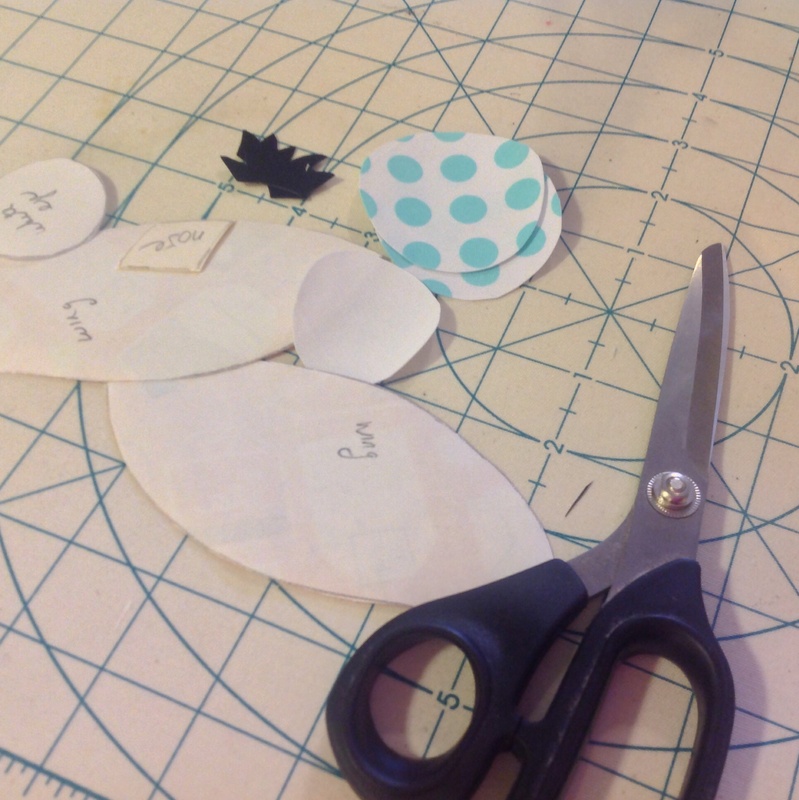 Sew a 1/4″ seam around the body, leaving about 2-3 inches for turning. Turn right side out through the opening. 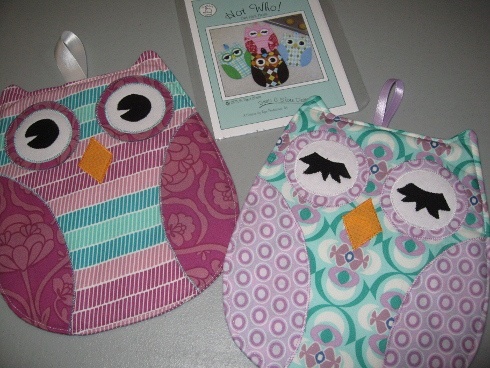 Press the opening seam in, insert your ribbon holder and top stitch around the owl. There are a lot of layers to go through. I also recommend a heavier needle. Now that I’ve shown you a simple shortcut to making this hot pad easier, you can get started on some of your own. They make cute gifts for teachers, friends, bakers and your Mama might appreciate some too! Or, if your shortcut consists of purchasing a pair of hot pads then your in luck too! 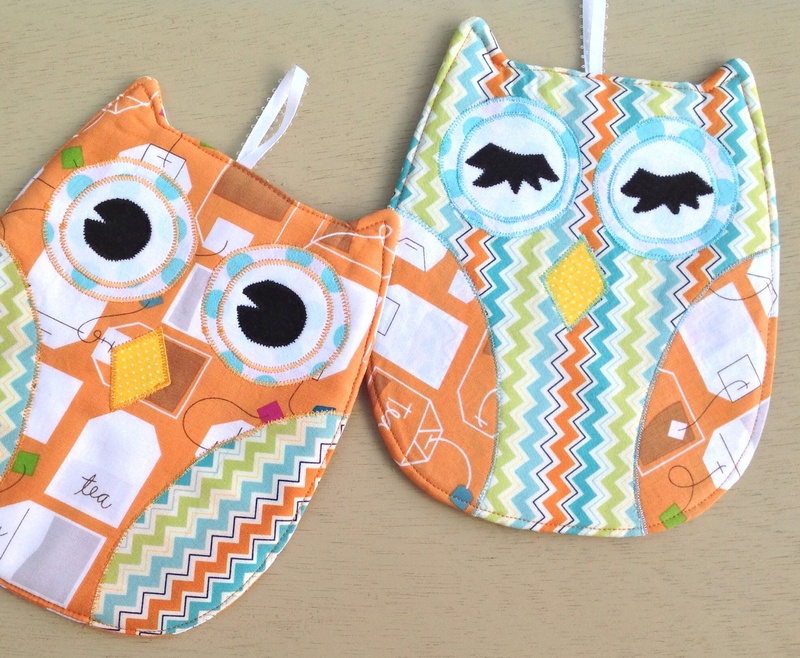 These cuties are available in the SewModDesigns Etsy shop under the Handmade category.